NASHVILLE, TN – Optimizing your site for search engines is one thing, but how do you know if all of your hard work is paying off? Google offers a free service – Google Analytics – to marketers and webmasters that tracks visits in multiple ways. Many large organizations, including Costco Travel, the American Cancer Society, and CKE Restaurants, use Google Analytics to track their web traffic. While marketers may receive more benefits from keeping up with in-depth statistics provided by Google Analytics, individuals that manage their personal or business websites can also use these tools to better understand what drives people to their sites. Learn the Dashboard: There are tons of reports you can view through Google Analytics, but those will take more time and more in-depth coverage to learn. For now, get acquainted with your Dashboard. This is the main page, the starting point, for your Google Analytics information. Here, you’ll see a 30-day graph for total visits; the time period shown is customizable. You’ll see a snapshot of Site Usage, including statistics for Visits, Pageviews, Bounce Rate, Average Time on Site, and Percentage of New Visits. Further down the page, you’ll see a map, which highlights where your views are coming from. You’ll also see a pie chart containing information about how visitors are getting to your site. Are you visitors coming from search engine results? From referring sites? From direct traffic? This information can quickly clue you in to your strengths and weaknesses. On the dashboard you’ll also be able to see your top content. Adding fresh content in the same vein as your top performing content will give your repeat viewers some new material and will likely draw more unique visitors to your site. Know Your Visitors: It’s important to know who is visiting your site. Are your visitors first-time viewers? How long are they staying on your website? How many pages within your website are they visiting? How many unique visitors do you have? With Google Analytics, you can see a detailed version of this information. If you learn that most people stay on your website a very short amount of time, try to find out why. Is your design pleasing and simple, or is it cluttered and hard to read? If you discover that the majority of your visitors have visited your site before, then you know you’re doing something right. Having repeat viewers is just as important as bringing new, unique traffic to your site. You can also customize the information you’re gathering by taking advantage of the Premium Analytics feature Extended Custom Variables. To evaluate if the SEO steps you’ve taken are working (although that’s a hard thing to measure just with a few clicks! ), try downloading a plug-in to enhance your Google Analytics. Here’s one from Juice Analytics that gives you data on your new referring sites and your keywords with 50% higher traffic over the past week. This doesn’t even cover the tip of the iceberg that is Google Analytics. To really be well versed in the GA scene, you’ll need to spend some time clicking around, browsing forums, and viewing different reports. Different data will be helpful to different users, so learning what you can do on GA will open your eyes to a whole new way of tracking your web traffic. Good to see DHL considered the people doing the work directly. What would be interesting would be to find out how the good quality applicants DHL was losing compared to those that were successful. 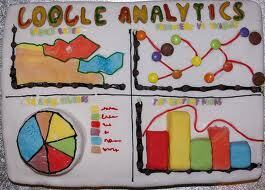 Google analytics is very useful tool, must have for every webmaster, thanks for google. I have been using google adwords, DFA,etc,. But, I\’m new to Google analytics. It\’s helped me alot to know basics about where i wanna start. Google analytics now even offers a real time visitor tracker. Very useful for site optimization.